Welcome to the Master at-Arms office! I am SWL Miles Prower, former battleteam leader for the Hyperion Flight battleteam. In the TIE Corps I am also the Commodore of the ISDII Hammer. Here in the Dark Brotherhood I intend to carry on the excellent tradition set forth by Woody while also continuing to be active in our game platforms. I also intend to make some expansions and advice to the Grand Master that should work to the benefit of the organization for activity, communication and prestige. This will also serve as my final report in the BTL position for Hyperion Flight Battleteam, but I will continue to report for them until a new BTL is selected. 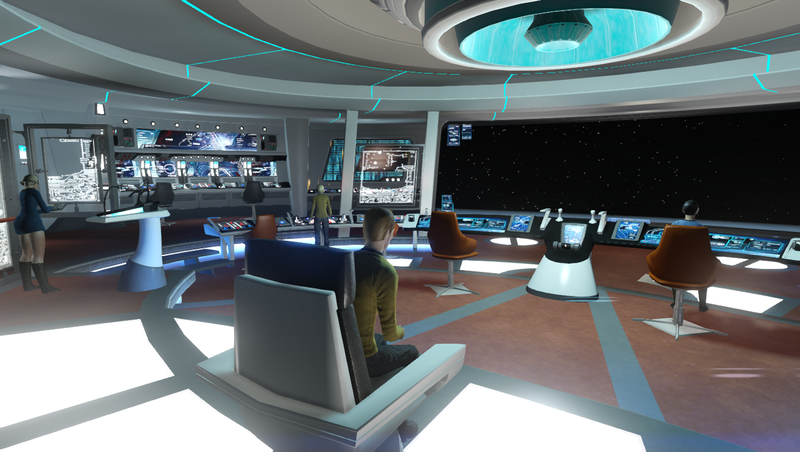 As a reminder, Hyperion is primarily geared towards Star Trek Online, so a potential BTL should have a general idea of the game mechanics, be an active player ideally and be able to pull activity reports from the game's Fleet interface. If the next BTL needs assistance with the reporting element, feel free to reach out to me and I will ensure you have the necessary membership and permissions in the Fleet to get that information. Please direct your applications to the Clan Drakonan Consul, SBL Silvius. Speaking of Star Trek Online, my latest acquisition was a Kelvin Timeline Heavy Command Cruiser (Tier 6). 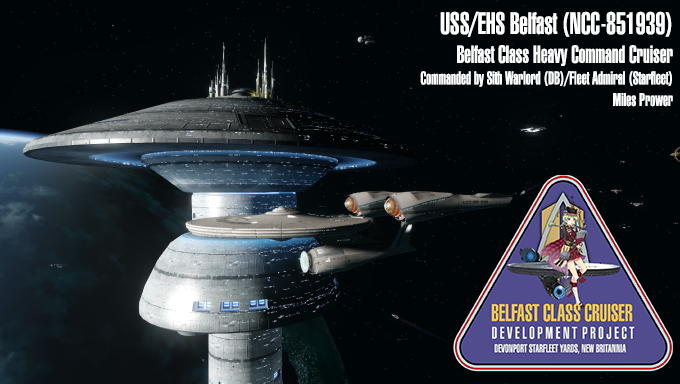 In my headcanon to mix in with the Prime timeline, I decided to reclassify it as the Belfast Class Heavy Command Cruiser (I mean the Kelvin Constitution is almost as big as a Galaxy class Exploration Cruiser compared to the classic Constitution class). Yes, there is lens flare. And yes, it's the 25th century but the classic uniforms are appropriate. Very appropriate. Miniskirts? -Awarded: Topaz Star, Emerald Star and Emerald Dagger! I will also be completing the evaluation for Hyperion for July and submit that to the Drakonan CON. Ensure you have a real PvP match to report, as matches against AI-only teams won't count. Bots can be identified by the missing "thumb up" symbol in front of their name on the scoreboard. Always send a screenshot of your victory that is CoF worthy according to these rules to the MAA, CC'ing your BTL, your CON and SWL Pellaeon. Every month the Master-at-Arms count the contributions of the Members to the Fleet. This will be sorted in a rankinglist for every of the 5 sections. Additional to that there will be an overall rankinglist. One high active Member in all 6 sections is able to grab up to 7 awards! Additional to that we have the small ancillary effect that our Fleet increases in level and functionality. Well here I am folks. As it was said, very big shoes to fill. But I have every confidence working together in unity that we can accomplish great things. Thank you for four years of excellent service to us Woody. Your grace, humor and counsel is part of why we're still here and alive. May you find ample rewards in your next endeavours!